What does yoga have to offer me? Can I start yoga if I’m stiff/overweight/out-of-shape/old? What if I’ve had a recent surgery or injury? How can I find a yoga class in my City? Where can I buy yoga props or clothing? What effect does uttering the sound “hum” have on me? Is the empty stomach condition applicable to Nithya kriya? What should the time gap be between our food and this Kriya process? Should one do Kriyas for a certain time, or it should be done everyday for rest of one’s life? 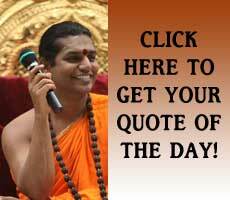 Who should not practice Nithya Kriya? I have Auto Immune diseases, is it safe to practice Nithya Kriya? Can I teach this Kriya to my family and friends or they have to watch the video too? Can I sit for Nithya Kriya on a chair and upright back since I cannot sit cross-legged? Where should I do Nithya Kriya? I am living in a noisy environment; do I need a separate place to do this? I learned Nithya Kriya online and was practicing regularly, but for some reasons the continuity broke. I want to restart the practice again. Do I have to just continue to do what I’ve learned previously? What is proper time to do Nithya Kriya? How many times in a day can I practice Nithya Kriya?